The Blatten valley station is easy to reach by postbus from Brig. The cable car up to Belalp runs every ten minutes. Adrenalin junkies will love the Aletsch Via Ferrata that includes vertiginous climbing sections across the Gibidum reservoir, or the fascinating Massa gorge where neoprene-clad adventurers can jump into a pool of crystal-clear water. 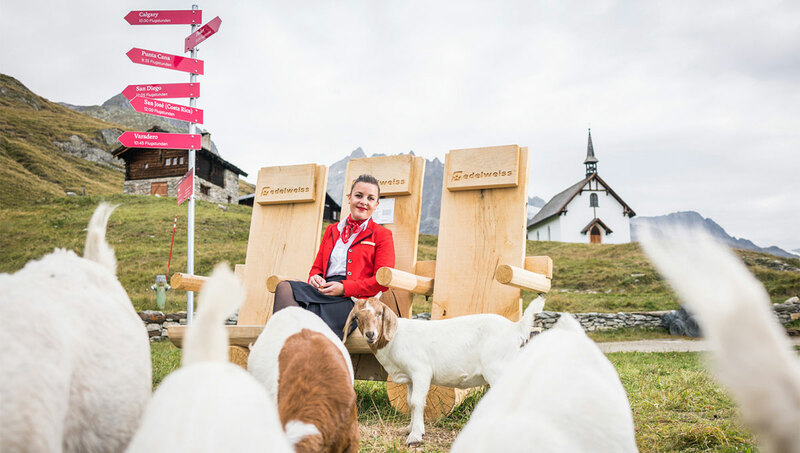 The Edelweiss bench is a 25-minute walk from the mountain station. A stunning view of the Great Aletsch Glacier and across the Rhone Valley, stretching as far as the Matterhorn, can be enjoyed from the Edelweiss bench. The Belalp-Riederalp hiking trail leads across a 124 m long and 80 m high suspension bridge – offering hikers one of the most exciting highlights in the Aletsch region! 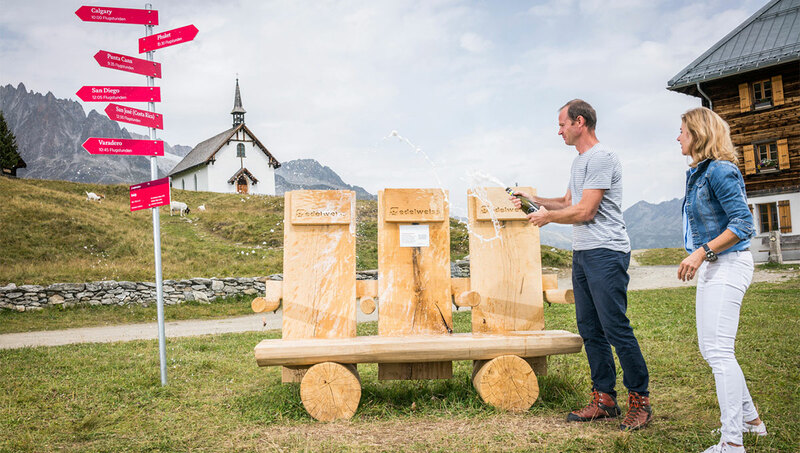 The Edelweiss bench is situated right next to the historic Belalp Hotel that was built in 1856. Perched majestically at 7011 feet (2137 m) above sea level, the hotel features a lovely panoramic restaurant with a sun terrace. Nomen est omen: Belalp translates as “Beautiful Alp”. Situated at 2000 metres above sea level, it boasts spellbinding views of the Valais Alps that rise up to 4000 metres. 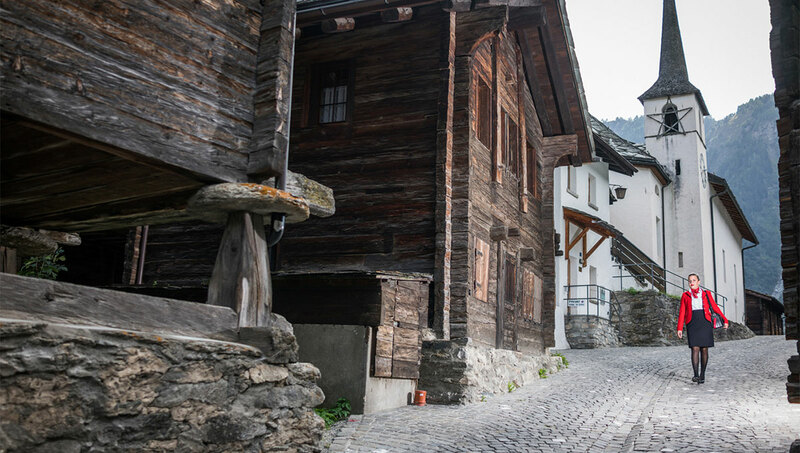 The picturesque villages in the Belalp area also have plenty to offer. If asked to describe Belalp in one word, “freedom” would be the most fitting description. 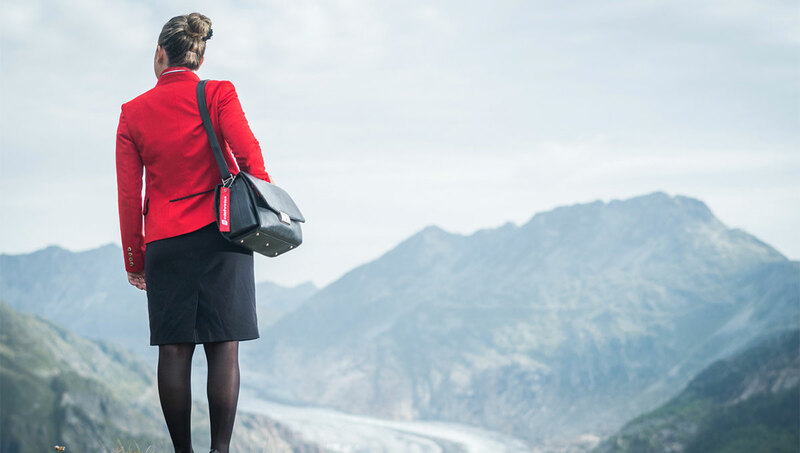 First-time visitors who alight from the cable car at 2000 metres above sea level instantly know why: fresh mountain air, pristine nature and stunning views of the Valais alpine landscape trigger a genuine sense of being closer to heaven. As one of the most snow-safe alpine regions, skis are a must-have item for winter holidaymakers in Belalp. As for the summer months, hiking aficionados won’t feel short-changed either: whether glacier hikes, mountain-hut hiking or high-altitude excursions, the choice on offer in the heart of the UNESCO Jungfrau-Aletsch World Natural Heritage Site is abundant. Those aspiring for greater heights can hike to the summit of Sparrhorn. A less strenuous way to travel up the mountain is on Switzerland’s longest six-person chairlift – that carries passengers up to 2680 metres above sea level. Other villages in the area also have much to offer, including Blatten, which features the “Hexenkessel” (witch’s cauldron) adventure park and includes highlights such as ropes courses, a via ferrata and canyoning. In sum: a great place for a fabulous summer holiday without a boring moment! Pure relaxation awaits visitors in the municipality of Naters: in keeping with the residents’ appreciation for its beautiful setting, this tourist gem has been kept as natural as possible. 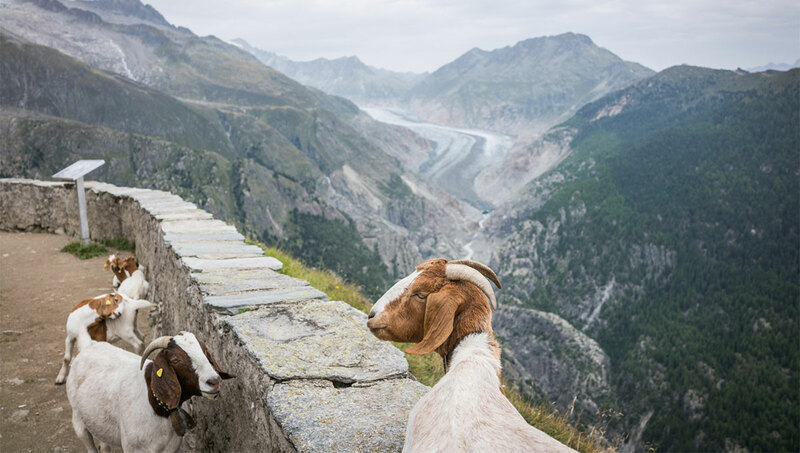 It is also home to the distinctive Valais blacknose sheep, of which there are almost as many as there are residents. Anyone desiring even more thrill and buzz can visit the ossuary of Naters that contains thousands of skulls. Curious? The best way to satisfy that curiosity is a visit.